**Pre-Sale for Preschool Families ONLY on Thursday, 4/16 and Friday, 4/17. 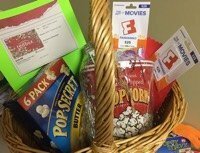 Join us for the PTO’s Silent Auction on Saturday, April 18th and help support the Preschool! You’ll have the opportunity to bid on over 100 items, enjoy dinner, and something sweet from the Bake Sale. We hope to see you and your family at the Silent Auction!